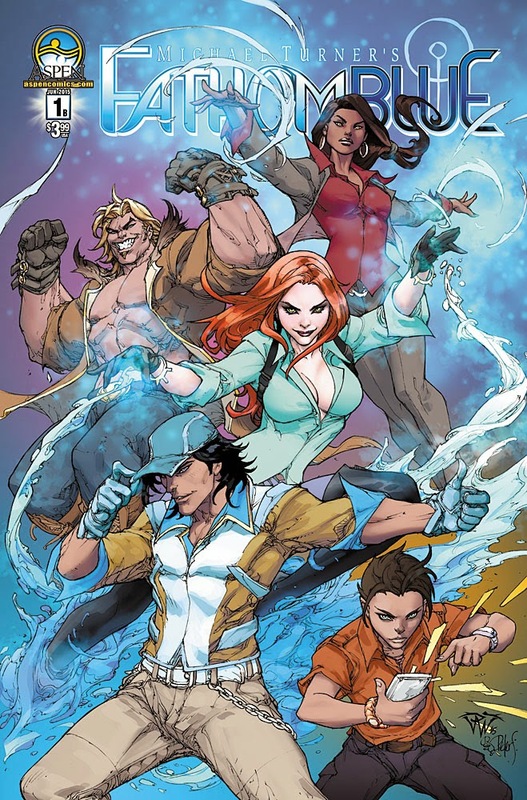 Aspen Comics is pleased to announce Fathom: Blue, an all-new team book set within the familiar Fathom universe written by Vince Hernandez (Fathom: Kiani, Damsels in Excess) with art by newcomer Claudio Avella and colors by Erick Arciniega (Soulfire). 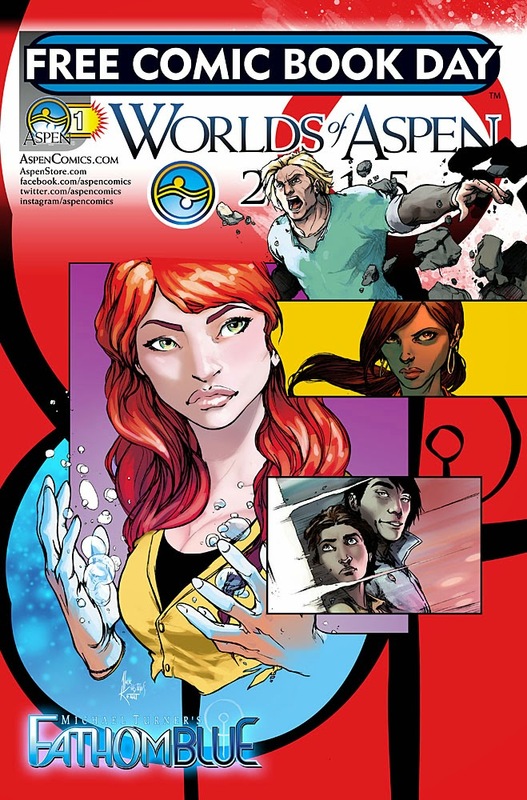 Fathom: Blue will launch with a zero issue in Aspen’s annual Free Comic Book Day flip book Worlds of Aspen 2015, and continue in its first full issue the following month in June. 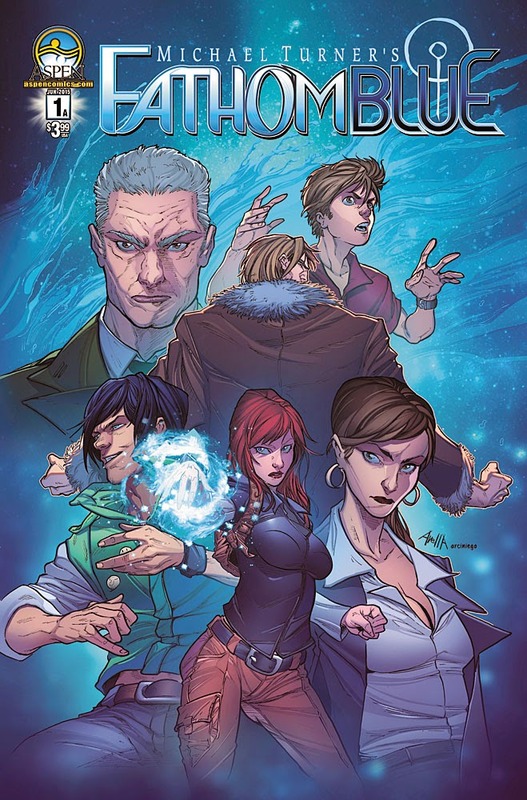 The series centers on a band of misfit Blue who have risen from beneath the surface, united in their exile from below and looking to blend in out of sight amongst humans. But they’ve been collected under the watchful eye of one man who has spent the better part of his life hunting their kind, and will stop at nothing to use these Blue as weapons against their own. 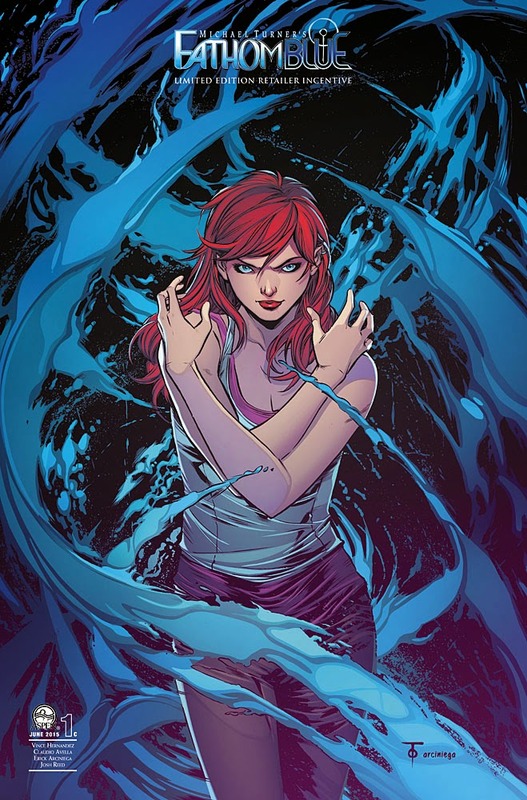 Fathom: Blue will feature covers from interior artist Avella, Mike Krome, industry favorites Paolo Pantalena and Marcus To, as well as a special 3D lenticular cover by Michael Turner and Peter Steigerwald.